Like many meat eaters (if you are vegetarian, that’s cool, smoked mushrooms are great), the most comforting way to enjoy a piece of meat is to smoke it; nothing like waiting for a piece of brisket to slowly cook in the smoker while sitting in the shade and having a glass of sweet ice tea. However, if you live in an apartment or in the city, chances are, you don’t have a smoker or the city code forbids you from building/having one. So, how to achieve the smoky flavor, the tenderness and juiciness of a piece of smoked meat without a smoker? Here’s a way to do it. 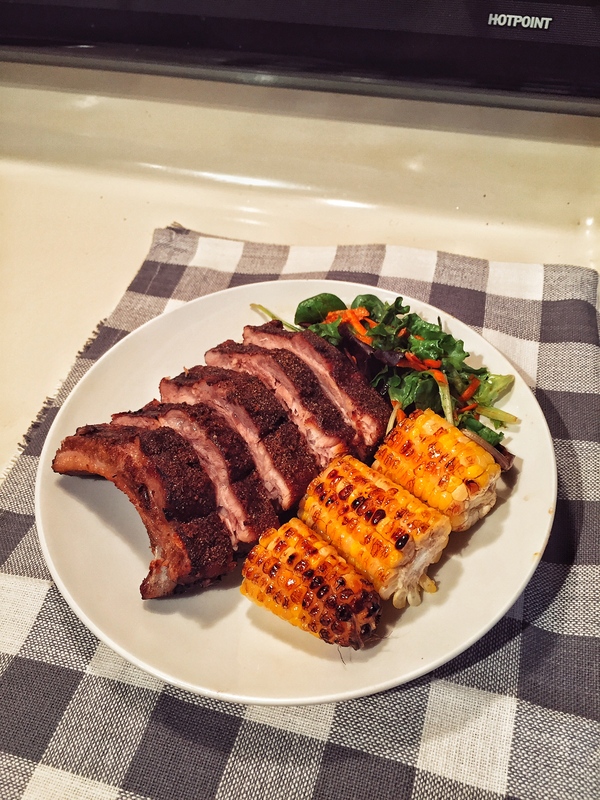 This recipe is really great for 2 reasons, first, the rub, more commonly known as the “Tennessee Rubdown”, is great for almost any beef or pork dishes, it is very versatile. Second, the indoor “smoker” method, since smoking is basically a long time, low temp cooking process, this is great for almost any meat, as long as the meat is well sealed within the oven so the juice within the meat doesn’t escape.